Medical Conditions Aline may have suicidal tendencies. Distinguishing Characteristics Caucasian female. Light brown hair, black eyes. Chloe has a small dog bite scar on the left side of her nose. Chloe was last seen in Kansas City, Missouri on March 15, 2006. She was abducted by her non-custodial mother, Aline Rivas-Vera. A felony warrant for kidnapping was issued for her on May 18, 2006. Photographs of Aline are posted with this case summary. Her date of birth is June 22, 1980, making her 25 years old at the time of Chloe's abduction. She's described as Hispanic, with light brown hair and green eyes. Aline is a Mexican citizen. She speaks English, French and Spanish. She may use the last names Combe and/or Combe-Rivas. She may have suicidal tendencies. At the time she abducted from Chloe, Aline was in the process of a divorce from the child's father, Didier Combe. Didier is a native of France, but became a naturalized American citizen in 2003. Aline is a Mexican citizen who was living in the United States on a student visa in 2006. Aline and Didier shared custody of Chloe during their divorce proceedings. Aline fled with Chloe during a court-ordered visit. Didier was granted full custody of his daughter afterwards. Aline and Chloe are known to have flown to Mexico via Houston, Texas. Didier filed a lawsuit against Continental Airlines in connection with Chloe's abduction. Mexican law requires a single-parent passenger traveling alone with a minor child to present a notarized letter from the absent parent authorizing travel for that child out of the United States into Mexico. According to Didier, Continental Airlines never asked to see Aline's letter, in violation of the law and its own policies, and thus failed to prevent Chloe's abduction. Didier has made at least six trips to Mexico to try and get Chloe returned to him. He has filed for her return under the Hague Convention on the Civil Aspects of International Child Abduction. Aline filed for full custody of her daughter in Mexican courts, but this was denied. Aline's mother and twin brother, who both live in the Kansas City area, both traveled to Mexico City to testify against Aline and request Chloe's return to the United States. In April 2008, a Mexican family court judge ruled that, as Chloe had been living in Mexico since 2006, she should remain there. Didier appealed, however, and in November 2009 a Mexican high court ordered Chloe's return to the United States and the care of her father. Aline and Chloe went into hiding after the ruling, however, and their current whereabouts are unknown. They are presumed to still be in Mexico, probably in the Mexico City area, where Aline has relatives. 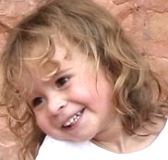 Chloe's case remains unsolved. Updated 10 times since October 12, 2004. Last updated September 10, 2018; age-progression updated.